This year, we were focused on campus-to-community partnerships. Given today’s hypercompetitive global job market, some communities are focusing on what the future holds for its youngest members, and the role of public schools in creating a productive citizenry. Components of this conference included leadership development, family engagement, blended learning, political navigation, and branding a campus. 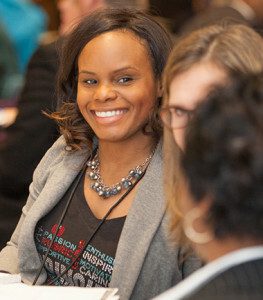 These sessions prepared school leaders to expand impactful campus and community relations. One of the highlights of the symposium was the keynote dinner. Texas Education Association Commissioner Mike Morath led a compelling conversation about his plan for strengthening Texas public schools, including a shift in the role of the agency from one of compliance to one of supporting schools to improve educational opportunities for all students. Whether you were not able to attend this year’s symposium or would simply like to re-familiarize yourself with the content presented in each of our sessions, Raise Your Hand Texas has provided you with the following materials for your convenience.